Majority of today’s manufactured goods are transported via ships. In fact, they are the backbone of industrialization and globalization. There are over 50,000 merchant ships trading internationally, and the number is bound to increase in the next few years with more technological innovations. The Shipping industry plays an important role in industrialization, technology, and food, a the majority of the raw materials used in industries are transported via ships. However, like most industries, the Shipping industry is faced with a lot of problems due to over-capacity, trust issues, and outdated systems of tracking cargoes and shipping documents. Furthermore, these issues are magnified by the absence of a central platform to handle issues related to payments and transactions. 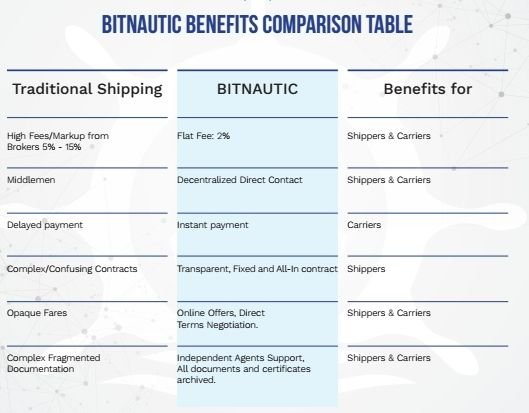 For this reason, BitNautic aims to provide a decentralized platform where all stakeholders in the shipping industry – importers, exporters, carriers, and ship owners, can meet and negotiate on their own terms. 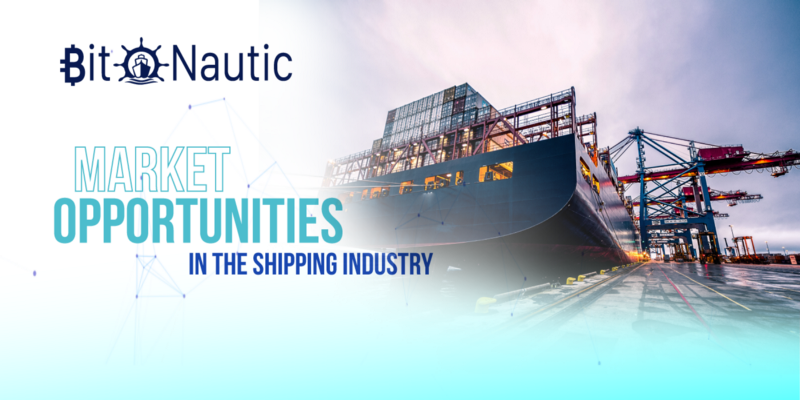 BitNautic accomplishes this through its token, which serves as a source of exchange for maritime transactions. Thereby, bypassing the long process associated with the involvement of multiple parties. The major challenges faced by shippers and shipping companies in the shipping industry. Security threats. In the past decade, there have been so many incidents of piracy off the coast of Somalia and other African countries. There is a growing concern for the maritime industry over these incidents. Ship owners now equip their ships with private security services. There’s also an increase in the rate of cyber attacks in fully automated ships. Lack of Transparency. There are huge gaps in transparency in the maritime industry due to mishandling of data and bad tracking of goods and services. Although tracking issues are inherent in the moving of goods and services, fragmentation and anonymity have worsened the state of transparency in the shipping industry. Difficulty in getting the best rates. This problem directly involves shippers. Looking for the best shipping rate is time-consuming, especially when you are not equipped with the right tools for making inquiries. Easy to Use Platform. At the click of a button, shoppers can have access to information such as cargo origin, ships date, and destination, and they receive instant offers directly from carriers. With BitNautic, ship owners can access information about their ship’s location, and receive leads on matching cargoes for their ship. Increased Transparency. Assets and contracts in public data are stored in Blockchain, and accessible to all concerned parties provided they gave certain privileges. Furthermore, the history of each transaction is permanently stored on the blockchain. This helps to avoid any mistake and ensures honesty between concerned parties. Multi-Currency. Foreign exchange can create unnecessary expenses in the shipping industry. Shippers can make deposits that get credited towards their balance before the cargo is loaded. What’s more? 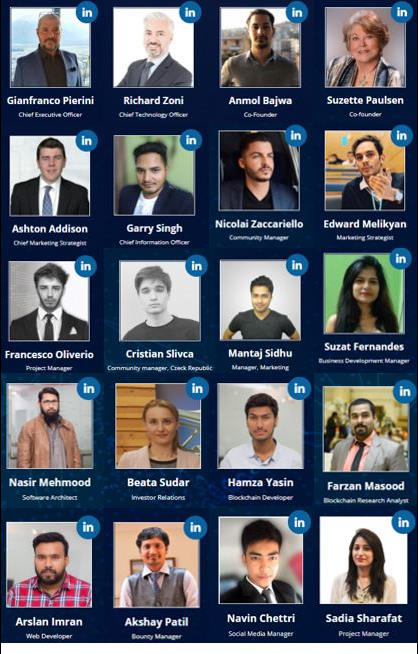 ; concerned parties can pay for the freighter, sales, and services with BitNautic Token or cryptocurrency – which is a novel approach to solving the issue of foreign exchange. The token supply will be 50,000,000 while BitNautic will furnish 35 million BTNT to raise 25,000 ETH in its ICO. 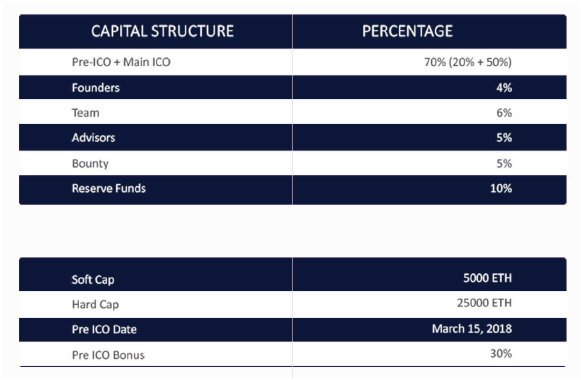 The ICO will end after the deadline or if the goal is reached earlier. But if the soft goal is not reached, then the funds would be refunded to the investors. 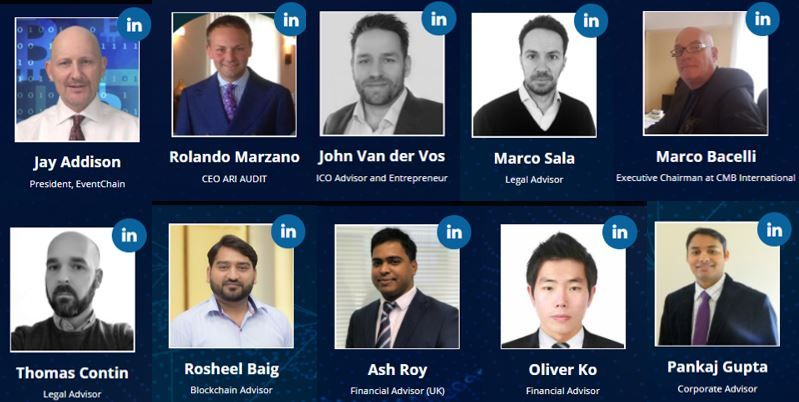 The main ICO will start on April 15, 2018 and it will last until June 15, 2018. 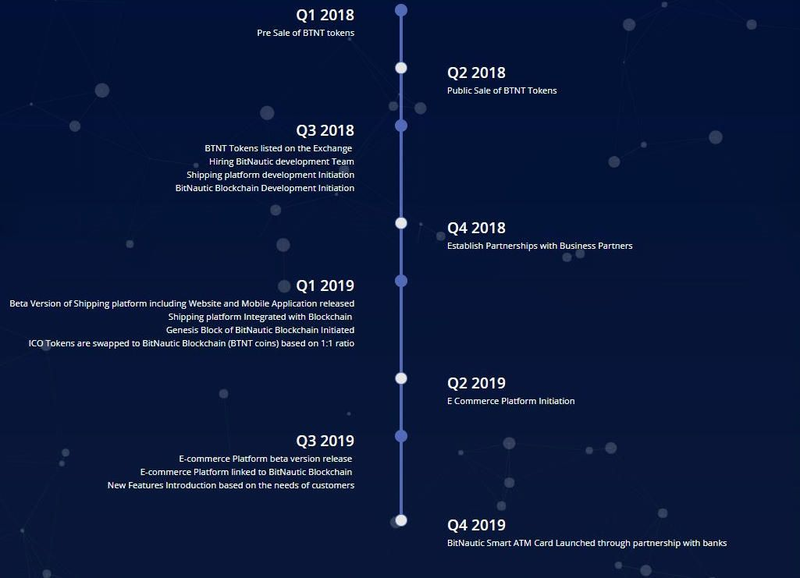 During this period, bonus schemes will also be introduced to reward early adopters of Bit Nautic.